Automatically clean up your songs. 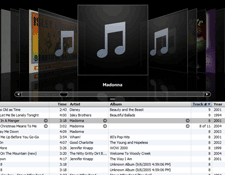 TidySongs is an easy and powerful itunes cleaner that will fix any missing or misspelled song details, add album artwork, remove duplicate songs and organize your music. 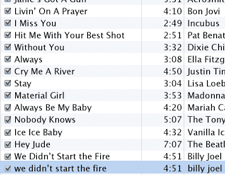 Even if the songs are misspelled. Keeps the best version. 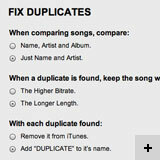 Corrects misspelled artist names, albums, and song titles. 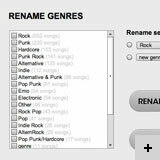 Automatically fills in artist, album, year and genre details. 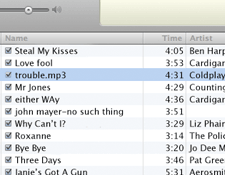 Large album images added to songs and transferred to iPods. 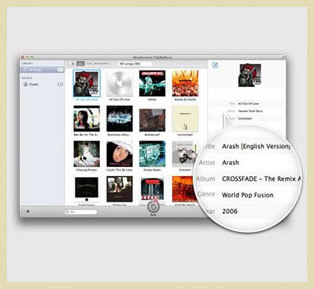 Uses an online music database of song information. 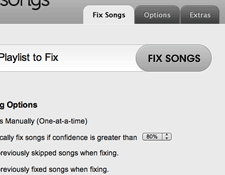 iTunes and other programs rely on correct information in your songs to work. Not TidySongs. Even if your song names have misspellings or missing info, TidySongs' intelligent database technology will find the matching artwork, remove duplicates and clean things up. Our goal was to make everything push-button simple, while giving you complete control over organizing and fixing your music library. And we wanted it to look good. 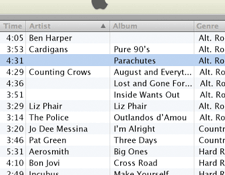 TidySongs can make it a heck of a lot easier to clean-up your iTunes library. TidySongs literally tidies up your crappy media tags in the songs. ...Very good software for music lovers.